Some people like to setup their dream budget instead of one for their current situation. Remember that a budget needs to be tracking what you are actually spending so you can make changes. This again goes back to being realistic. Can you actually live without having fun for years and years? Allocate a portion of your monthly budget so you can spend it however you want. After all, the whole point of saving money is to use it. In order to grow, you need to continuously improve on your system. This includes changing limits on your budget and adding/subtracting categories of expenses as you see fit to make life easier for yourself. You don't have to start off with the perfect budget, but the goal should be to always try to make it a little better. How would you handle the months when you have no choice but to go over the allotted limits you set on your expenses? You have to plan for that so it doesn't throw your finances upside down. You need to have an emergency fund set up, and another way is to actually have the exceeded amount "spill over" to future months, so you don't forget about it. For example, if you spent $500 over your budgeted amount on entertainment, the $500 would be added to the following month, which reminds you to spend less in the future to make up for it. There is no perfect tool. There, I said it. The key is you — the data you put in, and your commitment to follow what you have set up. Some people use a plain spreadsheet while others buy software like Quicken. Do whatever works for you, but don't obsess over which way is best. Unless you love tracking your budget and can spend hours every week on this task alone, please don't have too many categories, and try to simplify the process of logging your expenses. 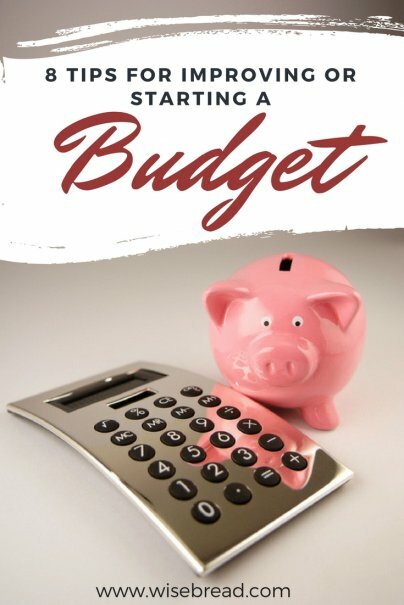 The simpler you can make your budget, the better! The key is to really think about your categories and whether separating them makes sense for you. Some people may consistently buy skin care products, so it makes sense for them to separate them into their own category so they can monitor how much they are spending on those products. Others may find that it makes little sense to have a category even for beauty products because they almost never spend anything in that area. Make it personal, but keep it simple! Very rarely do you see people executing their budgeting process to perfection right out of the gate, so those who expect everything to work out perfectly are setting themselves up for failure. As with anything, it takes constant monitoring to improve, and eventually, it will work well for you. Whether it's lowering your spending or increasing your income, make progress! Having better finances will be the number one motivator to keep doing your budget. Always think how you can do things better, and you will be financially free in no time. Let me repeat — budgeting is boring, but it's an easy way to improve your finances. Here are seven more reasons why you need to start budget tracking. Absolutely true. A budget really is a working document. In many cases, its more of an exercise which causes us to focus on the reality of our financial situation than something we are able to live by on a day in and day out basis. My favorite resource for this is mint.com. A great tool, especially for those who use credit and debit cards for paying bills, shopping, etc. I read recently that Quicken aka Intuit bought out Mint.com. So I guess if u use that program you should expect the same kind of service. Some good ideas! Budgets are meant to be a structure or a way of controlling expenses. It is supposed to gives us discipline. Personally I think it requires discipline and organization to be successful with budgeting. I am actually a person that _loves_ spreadsheet and minutia. Which makes it even more surprising that I'm only getting around to tracking our spending starting this month. Sort of ridiculous, really! I'm going with excel, because it's already on my computer and I already know how to use it. For the first couple of months, I think it's going to be important to really track what we're spending versus what we're bringing in. So that's the prime calculation each month's worksheet does for me. After that, we'll be in a good position to look at our different categories and make real decisions about what to do with each one. Budgets should not be something that we only keep at home though. Budgets become extremely powerful when we have an updated copy with us at all times that we can refer to when we want to spend and update when we have bought something. There is one step that budget articles fail to mention--the data gathering stage. In order to make a budget in the first place, you have to have data about your spending. Therefore, if you want to make a budget, but don't know quite how yet, the best thing to do is just to record all your expenses. The more data you have, the more realistic the budget will be. Also, the longer you have collected data, the better you will be able to plan for unexpected surprise expenses. If you have kept utility bills or any other kinds of bills for a year or more, you will have an easier time collecting this data. Make a spreadsheet of that information. Find out your average costs for a month. If you use a credit card a lot, can you easily find out how much you spent on gas or groceries? Can you use your bank statements to add up how much you spent on clothes? Can you figure out how much you spend to fix your car or finance your car? All that information is going to come in handy in making your budget. Another question people have when they collect that information is how much they should set their monthly budgeted amount for. For example, should they really tighten the purse strings and set the food amount at the minimum amount, or should they make it so loose that they never have to worry about how much is spent? My personal opinion is that the amount should be right at the monthly average. This makes it loose enough that it feels possible to stick with, but is tight enough that it still requires discipline to be careful. The point of the budget is to keep spending within one's means, but it has the peripheral advantages of keeping expenses at a predictable level and gives some incentive to look for cheaper alternatives. Great article. Many points ring true for most people. The biggest key to budgeting (and life) is motivation. Budgeting can't be a neccesary evil (like flossing). You have to want to do it. The motivation can be external or internal but it has to be there or else you'll find something else to do. I agree with you. There needs to be some wiggle room to have fun or your budget will explode.